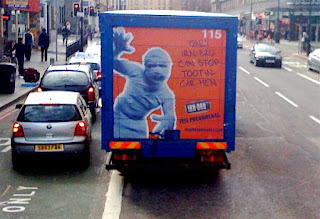 Now this seems to be about the weirdest ad ever...Only Irn-Bru can stop tootin-car-men. My question is, what exactly are tootin-car-men? I tried google, but it only came up with tootin carmen as a song, and this ad definitely has a hyphen between car and men (car-men). So the mystery still remains, what exactly is tootin-car-men?!? Only Irn-Bru can stop tootin-car-men...It's a Scottish soda.